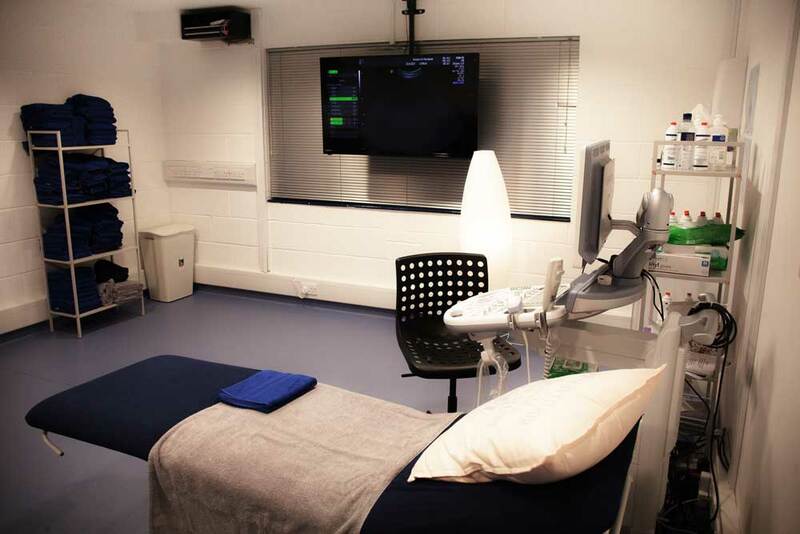 Our Milton Keynes clinic is home to a firstScan early pregnancy clinic. Offering scans from 6-15 Weeks. 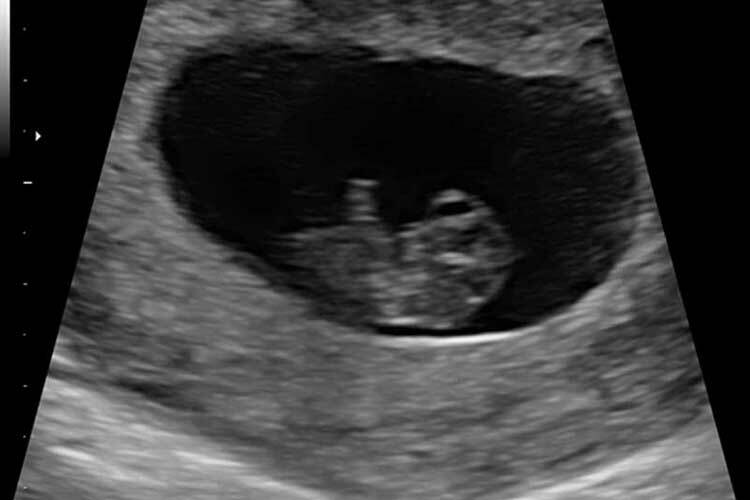 We're the leading private baby ultrasound scan clinic in Milton Keynes offering range of pregnancy scans designed to fit into the various stages of your pregnancy. 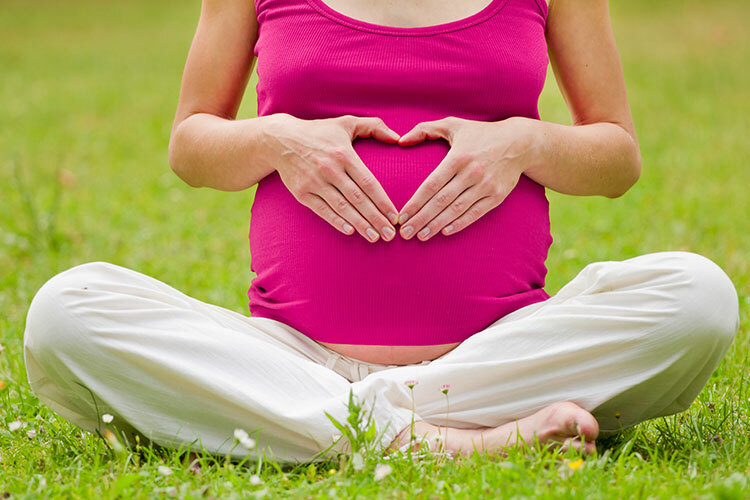 We're the destination choice, and mums choose us to be an essential part of their pregnancy well-being journey. We pride ourselves in the service we provide and ensure that mums visiting receive the utmost care and enjoy the experience of every private pregnancy scan they have with us. Window to the Womb Milton Keynes specialise in providing scans for all trimesters of pregnancy, from Early Pregnancy Scans at 6 weeks, right through to Growth & Presentation Scans up to 40 weeks. 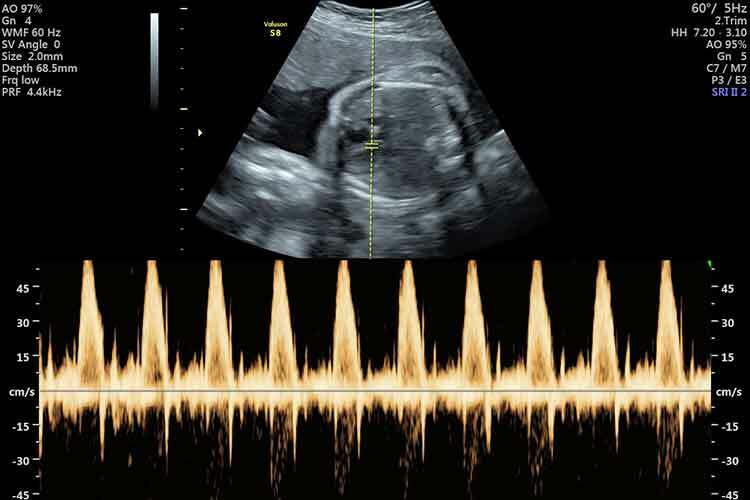 All of our baby scans start with a Well-Being Check; our fully qualified & registered sonographers will check baby’s movement, heartbeat, position and placental position. Each baby scan package is tailored to suit each expecting mum and their family, so whether you’d like a scan to check baby’s measurements, to see baby in a 4D scan or you want to walk away with photo prints, digital movies & images, heartbeat bears and more, Window to the Womb are here for every part of your pregnancy and to create memories that you and your family can cherish forever! Our Milton Keynes baby scan clinic has lots of room for you to bring friends, family & little ones to share this wonderful baby scan experience. Avneet and her team look forward to welcoming you, your family and (of course your bump!) to our Milton Keynes baby scan clinic and having the privilege of introducing you all to your baby. Our range of baby scans complement those provided by NHS and we are delighted to be able to offer our unique private ultrasound pregnancy scan services to mums-to-be and their families from Milton Keynes, Northampton, Oxford, Banbury, Kettering, and Bedford, as well as baby scans to surrounding areas such as Winslow, Wolverton, Towcester, Millbrook, Flitwick and many more. You can now experience a Window to the Womb Milton Keynes early pregnancy baby scan, 2D sexing/gender baby scan, 3D/4D ultrasound baby scan, Growth and Presentation baby scan or just a general well-being and reassurance baby scan for yourself. 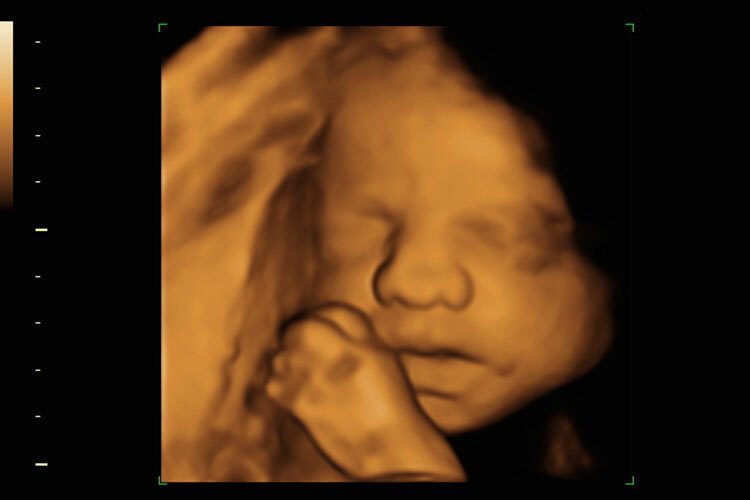 The ladies at Window to the Womb Milton Keynes baby scan clinic look forward to welcoming you into our scan clinic. It is a privilege to share with you the experience of meeting your unborn child each day – we love to share in the happiness, tears, love and laughter. We love to welcome siblings in to the clinic and believe that there is no better way to introduce the pending arrival of a new baby brother or sister to the older children, than to let them see the baby in mummy’s tummy for themselves. We have a small children’s area to keep them entertained while you wait. We love to welcome siblings in to the clinic and believe that there is no better way to introduce the pending arrival of a new baby brother or sister to the older children, that to let them see the baby in mummy’s tummy for themselves. We have a small children’s area to keep them entertained while you wait. Milton Keynes Baby Scan, Abingdon baby scan, Adderbury baby scan, Adwell baby scan, Albury Baby Scan, Alvescot Baby Scan, Ambrosden Baby Scan, Appleford-on-Thames Baby Scan, Appleton-with-Eaton Baby Scan, Ardington Baby Scan, Ardley Baby Scan, Arncott Baby Scan, Ashbury Baby Scan, Aston Baby Scan, Bainton Baby Scan, Baldon Baby Scan, Balsote Baby Scan, Bampton Baby Scan, Barford St John Baby Scan, Barford Baby Scan, Baulking Baby Scan, Bayworth Baby Scan, Begbroke Baby Scan, Benson Baby scan, Berinsfield Baby Scan, Berrick Salome Baby Scan, Bicester Baby Scan, Binfield Heath Baby scan, Binsey Baby Scan, Blackthorn Baby Scan, Blackbird Leys Baby Scan, Bletchingdon Baby Scan, Blewbury Baby Scan, Bloxham Baby Scan, Boars Hill Baby Scan, Bodicote Baby Scan, Baldwin Baby Scan, Broadwell Baby Scan, Brookhampton Baby Scan, Bruern Baby Scan, Buckland Baby Scan, Bucknell Baby Scan, Burcot Baby Scan, Caldecott Baby Scan, Calthorpe Baby Scan, Carterton Baby Scan, Cane End Baby Scan, Caversfield Baby Scan, Chalgrove Baby Scan, Chadlington Baby Scan, Chalbury Baby Scan, Chastleton Baby Scan, Chilson Baby Scan, Chimney Baby Scan, Chinnor Baby Scan, Chislehampton Baby Scan, Christmas Common Baby Scan, Claydon Baby Scan, Hampden Baby Scan, Harbour Baby Scan, Coleshill Baby Scan, Combe Baby Scan, Compton Baby Scan, Coscote Baby Scan, Cote Baby Scan, Cothill Baby Scan, Crawley Baby Scan, Crays Pond Baby Scan, Crowsley Baby Scan, Cuttleslowe Baby Scan, Curbridge Baby Scan, Dean Baby Scan, Deddington Baby Scan, Denton Baby Scan, Drayton Baby Scan, Ducklington Baby Scan, Dunsden Green Baby Scan, Duxford Baby Scan, Ginge Baby Scan, Hagbourne Baby Scan, Hanney Baby Scan, Hendred Baby Scan, Eaton Baby Scan, Emmington Baby Scan, Epwell Baby Scan, Eynsam Baby Scan, Faringdon Baby Scan, Fawler Baby Scan, Farmoor Baby Scan, Fencott Baby Scan, Fewcott Baby Scan, Fernham Baby Scan, Fifield Baby Scan, Filkins Baby Scan, Finmere Baby Scan, Finstock Baby Scan, Fulscot Baby Scan, Fyfield Baby Scan, Gagingwell Baby Scan, Garsington Baby Scan, Godstow Baby Scan, Goring Heath Baby Scan, Headington Hill Baby Scan, Henton Baby Scan, Highmoor Baby Scan, Holwell Baby Scan, Hinksey Hill Baby Scan, Holton Baby Scan, Highmoor Baby Scan Horley Baby Scan, Idbury Baby Scan, Iffley Baby Scan, Ipsden Baby Scan, Jericho Baby Scan, Kelmscott Baby Scan, Kiddington Baby Scan, Langford Baby Scan, Launton Baby Scan, Little Baldon Baby Scan, Little Coxwell Baby Scan, Assendon Baby Scan, Heyford Baby Scan, Lyneham Baby Scan Maidensgrove Baby Scan, Marsh Baldon Baby Scan, Marcham Baby Scan, Merton Baby Scan, Milcombe Baby Scan, Mongewell Baby Scan, Murcott Baby Scan, New Marston Baby Scan, Nettlebed Baby Scan, Noke Baby Scan, North Leigh Baby Scan, North Oxford Baby Scan, Newington Baby Scan, Oakley Baby Scan, Nuneham Baby Scan, Oddington Baby Scan, Old Chalford Baby Scan, Oxford Baby Scan, Piddington Baby Scan, Prescote Baby Scan, Pusey Baby Scan, Radley Baby Scan, Rotherfield Baby Scan, Rose Hill Baby Scan, Roke Baby Scan, Rycote Baby Scan, Seacourt Baby Scan, Shillingford Baby Scan, Shippon Baby Scan, Shiplake Baby Scan, Shirburn Baby Scan, Shorthampton Baby Scan, South Moreten Baby Scan, Spelsbury Baby Scan, Sunningwell Baby Scan, Swerford Baby Scan, Sydenham Baby Scan, Taynton Baby Scan, Thrupp Baby Scan, Trench Green Baby Scan, Towersey Baby Scan, Uffington Baby Scan, Upperton Baby Scan, Wallingford Baby Scan, Watchfield Baby Scan, Water Eaton Baby Scan, Waterstock Baby Scan, West Hanney Baby Scan, West Lockinge Baby Scan, Wheatley Baby Scan, Wigginton Baby Scan, Winterbrook Baby Scan, Witney Baby Scan, Woodstock Baby Scan, Aspley End Baby Scan, Beadlon Baby Scan, California Baby Scan, Castle Baby Scan, Milton Keynes Baby Scan, Milton Keynes Private Pregnancy Scan, Abingdon Private Pregnancy Scan, Adderbury Private Pregnancy Scan, Adwell Private Pregnancy Scan, Albury Private Pregnancy Scan, Alvescot Private Pregnancy Scan, Ambrosden Private Pregnancy Scan, Appleford-on-Thames Private Pregnancy Scan, Appleton-with-Eaton Private Pregnancy Scan, Ardington Private Pregnancy Scan, Ardley Private Pregnancy Scan, Arncott Private Pregnancy Scan, Ashbury Private Pregnancy Scan, Aston Private Pregnancy Scan, Bainton Private Pregnancy Scan, Baldon Private Pregnancy Scan, Balsote Private Pregnancy Scan, Bampton Private Pregnancy Scan, Barford St John Private Pregnancy Scan, Barford Private Pregnancy Scan, Baulking Private Pregnancy Scan, Bayworth Private Pregnancy Scan, Begbroke Private Pregnancy Scan, Benson Private Pregnancy Scan, Berinsfield Private Pregnancy Scan, Berrick Salome Private Pregnancy Scan, Bicester Private Pregnancy Scan, Binfield Heath Private Pregnancy Scan, Binsey Private Pregnancy Scan, Blackthorn Private Pregnancy Scan, Blackbird Leys Private Pregnancy Scan, Bletchingdon Private Pregnancy Scan, Blewbury Private Pregnancy Scan, Bloxham Private Pregnancy Scan, Boars Hill Private Pregnancy Scan, Bodicote Private Pregnancy Scan, Baldwin Private Pregnancy Scan, Broadwell Private Pregnancy Scan, Brookhampton Private Pregnancy Scan, Bruern Private Pregnancy Scan, Buckland Private Pregnancy Scan, Bucknell Private Pregnancy Scan, Burcot Private Pregnancy Scan, Caldecott Private Pregnancy Scan, Calthorpe Private Pregnancy Scan, Carterton Private Pregnancy Scan, Cane End Private Pregnancy Scan, Caversfield Private Pregnancy Scan, Chalgrove Private Pregnancy Scan, Chadlington Private Pregnancy Scan, Chalbury Private Pregnancy Scan, Chastleton Private Pregnancy Scan, Chilson Private Pregnancy Scan, Chimney Private Pregnancy Scan, Chinnor Private Pregnancy Scan, Chislehampton Private Pregnancy Scan, Christmas Common Private Pregnancy Scan, Claydon Private Pregnancy Scan, Hampden Private Pregnancy Scan, Harbour Private Pregnancy Scan, Coleshill Private Pregnancy Scan, Combe Private Pregnancy Scan, Compton Private Pregnancy Scan, Coscote Private Pregnancy Scan, Cote Private Pregnancy Scan, Cothill Private Pregnancy Scan, Crawley Private Pregnancy Scan, Crays Pond Private Pregnancy Scan, Crowsley Private Pregnancy Scan, Cuttleslowe Private Pregnancy Scan, Curbridge Private Pregnancy Scan, Dean Private Pregnancy Scan, Deddington Private Pregnancy Scan, Denton Private Pregnancy Scan, Drayton Private Pregnancy Scan, Ducklington Private Pregnancy Scan, Dunsden Green Private Pregnancy Scan, Duxford Private Pregnancy Scan, Ginge Private Pregnancy Scan, Hagbourne Private Pregnancy Scan, Hanney Private Pregnancy Scan, Hendred Private Pregnancy Scan, Eaton Private Pregnancy Scan, Emmington Private Pregnancy Scan, Epwell Private Pregnancy Scan, Eynsam Private Pregnancy Scan, Faringdon Private Pregnancy Scan, Fawler Private Pregnancy Scan, Farmoor Private Pregnancy Scan, Fencott Private Pregnancy Scan, Fewcott Private Pregnancy Scan, Fernham Private Pregnancy Scan, Fifield Private Pregnancy Scan, Filkins Private Pregnancy Scan, Finmere Private Pregnancy Scan, Finstock Private Pregnancy Scan, Fulscot Private Pregnancy Scan, Fyfield Private Pregnancy Scan, Gagingwell Private Pregnancy Scan, Garsington Private Pregnancy Scan, Godstow Private Pregnancy Scan, Goring Heath Private Pregnancy Scan, Headington Hill Private Pregnancy Scan, Henton Private Pregnancy Scan, Highmoor Private Pregnancy Scan, Holwell Private Pregnancy Scan, Hinksey Hill Private Pregnancy Scan, Holton Private Pregnancy Scan, Highmoor Private Pregnancy Scan Horley Private Pregnancy Scan, Idbury Private Pregnancy Scan, Iffley Private Pregnancy Scan, Ipsden Private Pregnancy Scan, Jericho Private Pregnancy Scan, Kelmscott Private Pregnancy Scan, Kiddington Private Pregnancy Scan, Langford Private Pregnancy Scan, Launton Private Pregnancy Scan, Little Baldon Private Pregnancy Scan, Little Coxwell Private Pregnancy Scan, Assendon Private Pregnancy Scan, Heyford Private Pregnancy Scan, Lyneham Private Pregnancy Scan Maidensgrove Private Pregnancy Scan, Marsh Baldon Private Pregnancy Scan, Marcham Private Pregnancy Scan, Merton Private Pregnancy Scan, Milcombe Private Pregnancy Scan, Mongewell Private Pregnancy Scan, Murcott Private Pregnancy Scan, New Marston Private Pregnancy Scan, Nettlebed Private Pregnancy Scan, Noke Private Pregnancy Scan, North Leigh Private Pregnancy Scan, North Oxford Private Pregnancy Scan, Newington Private Pregnancy Scan, Oakley Private Pregnancy Scan, Nuneham Private Pregnancy Scan, Oddington Private Pregnancy Scan, Old Chalford Private Pregnancy Scan, Oxford Private Pregnancy Scan, Piddington Private Pregnancy Scan, Prescote Private Pregnancy Scan, Pusey Private Pregnancy Scan, Radley Private Pregnancy Scan, Rotherfield Private Pregnancy Scan, Rose Hill Private Pregnancy Scan, Roke Private Pregnancy Scan, Rycote Private Pregnancy Scan, Seacourt Private Pregnancy Scan, Shillingford Private Pregnancy Scan, Shippon Private Pregnancy Scan, Shiplake Private Pregnancy Scan, Shirburn Private Pregnancy Scan, Shorthampton Private Pregnancy Scan, South Moreten Private Pregnancy Scan, Spelsbury Private Pregnancy Scan, Sunningwell Private Pregnancy Scan, Swerford Private Pregnancy Scan, Sydenham Private Pregnancy Scan, Taynton Private Pregnancy Scan, Thrupp Private Pregnancy Scan, Trench Green Private Pregnancy Scan, Towersey Private Pregnancy Scan, Uffington Private Pregnancy Scan, Upperton Private Pregnancy Scan, Wallingford Private Pregnancy Scan, Watchfield Private Pregnancy Scan, Water Eaton Private Pregnancy Scan, Waterstock Private Pregnancy Scan, West Hanney Private Pregnancy Scan, West Lockinge Private Pregnancy Scan, Wheatley Private Pregnancy Scan, Wigginton Private Pregnancy Scan, Winterbrook Private Pregnancy Scan, Witney Private Pregnancy Scan, Woodstock Private Pregnancy Scan, Aspley End Private Pregnancy Scan, Beadlon Private Pregnancy Scan, California Private Pregnancy Scan, Castle Private Pregnancy Scan, Milton Keynes Private Pregnancy Scan, Milton Keynes Ultrasound Baby Scan, Abingdon Ultrasound Baby Scan, Adderbury Ultrasound Baby Scan, Adwell Ultrasound Baby Scan, Albury Ultrasound Baby Scan, Alvescot Ultrasound Baby Scan, Ambrosden Ultrasound Baby Scan, Appleford-on-Thames Ultrasound Baby Scan, Appleton-with-Eaton Ultrasound Baby Scan, Ardington Ultrasound Baby Scan, Ardley Ultrasound Baby Scan, Arncott Ultrasound Baby Scan, Ashbury Ultrasound Baby Scan, Aston Ultrasound Baby Scan, Bainton Ultrasound Baby Scan, Baldon Ultrasound Baby Scan, Balsote Ultrasound Baby Scan, Bampton Ultrasound Baby Scan, Barford St John Ultrasound Baby Scan, Barford Ultrasound Baby Scan, Baulking Ultrasound Baby Scan, Bayworth Ultrasound Baby Scan, Begbroke Ultrasound Baby Scan, Benson Ultrasound Baby Scan, Berinsfield Ultrasound Baby Scan, Berrick Salome Ultrasound Baby Scan, Bicester Ultrasound Baby Scan, Binfield Heath Ultrasound Baby Scan, Binsey Ultrasound Baby Scan, Blackthorn Ultrasound Baby Scan, Blackbird Leys Ultrasound Baby Scan, Bletchingdon Ultrasound Baby Scan, Blewbury Ultrasound Baby Scan, Bloxham Ultrasound Baby Scan, Boars Hill Ultrasound Baby Scan, Bodicote Ultrasound Baby Scan, Baldwin Ultrasound Baby Scan, Broadwell Ultrasound Baby Scan, Brookhampton Ultrasound Baby Scan, Bruern Ultrasound Baby Scan, Buckland Ultrasound Baby Scan, Bucknell Ultrasound Baby Scan, Burcot Ultrasound Baby Scan, Caldecott Ultrasound Baby Scan, Calthorpe Ultrasound Baby Scan, Carterton Ultrasound Baby Scan, Cane End Ultrasound Baby Scan, Caversfield Ultrasound Baby Scan, Chalgrove Ultrasound Baby Scan, Chadlington Ultrasound Baby Scan, Chalbury Ultrasound Baby Scan, Chastleton Ultrasound Baby Scan, Chilson Ultrasound Baby Scan, Chimney Ultrasound Baby Scan, Chinnor Ultrasound Baby Scan, Chislehampton Ultrasound Baby Scan, Christmas Common Ultrasound Baby Scan, Claydon Ultrasound Baby Scan, Hampden Ultrasound Baby Scan, Harbour Ultrasound Baby Scan, Coleshill Ultrasound Baby Scan, Combe Ultrasound Baby Scan, Compton Ultrasound Baby Scan, Coscote Ultrasound Baby Scan, Cote Ultrasound Baby Scan, Cothill Ultrasound Baby Scan, Crawley Ultrasound Baby Scan, Crays Pond Ultrasound Baby Scan, Crowsley Ultrasound Baby Scan, Cuttleslowe Ultrasound Baby Scan, Curbridge Ultrasound Baby Scan, Dean Ultrasound Baby Scan, Deddington Ultrasound Baby Scan, Denton Ultrasound Baby Scan, Drayton Ultrasound Baby Scan, Ducklington Ultrasound Baby Scan, Dunsden Green Ultrasound Baby Scan, Duxford Ultrasound Baby Scan, Ginge Ultrasound Baby Scan, Hagbourne Ultrasound Baby Scan, Hanney Ultrasound Baby Scan, Hendred Ultrasound Baby Scan, Eaton Ultrasound Baby Scan, Emmington Ultrasound Baby Scan, Epwell Ultrasound Baby Scan, Eynsam Ultrasound Baby Scan, Faringdon Ultrasound Baby Scan, Fawler Ultrasound Baby Scan, Farmoor Ultrasound Baby Scan, Fencott Ultrasound Baby Scan, Fewcott Ultrasound Baby Scan, Fernham Ultrasound Baby Scan, Fifield Ultrasound Baby Scan, Filkins Ultrasound Baby Scan, Finmere Ultrasound Baby Scan, Finstock Ultrasound Baby Scan, Fulscot Ultrasound Baby Scan, Fyfield Ultrasound Baby Scan, Gagingwell Ultrasound Baby Scan, Garsington Ultrasound Baby Scan, Godstow Ultrasound Baby Scan, Goring Heath Ultrasound Baby Scan, Headington Hill Ultrasound Baby Scan, Henton Ultrasound Baby Scan, Highmoor Ultrasound Baby Scan, Holwell Ultrasound Baby Scan, Hinksey Hill Ultrasound Baby Scan, Holton Ultrasound Baby Scan, Highmoor Ultrasound Baby Scan Horley Ultrasound Baby Scan, Idbury Ultrasound Baby Scan, Iffley Ultrasound Baby Scan, Ipsden Ultrasound Baby Scan, Jericho Ultrasound Baby Scan, Kelmscott Ultrasound Baby Scan, Kiddington Ultrasound Baby Scan, Langford Ultrasound Baby Scan, Launton Ultrasound Baby Scan, Little Baldon Ultrasound Baby Scan, Little Coxwell Ultrasound Baby Scan, Assendon Ultrasound Baby Scan, Heyford Ultrasound Baby Scan, Lyneham Ultrasound Baby Scan Maidensgrove Ultrasound Baby Scan, Marsh Baldon Ultrasound Baby Scan, Marcham Ultrasound Baby Scan, Merton Ultrasound Baby Scan, Milcombe Ultrasound Baby Scan, Mongewell Ultrasound Baby Scan, Murcott Ultrasound Baby Scan, New Marston Ultrasound Baby Scan, Nettlebed Ultrasound Baby Scan, Noke Ultrasound Baby Scan, North Leigh Ultrasound Baby Scan, North Oxford Ultrasound Baby Scan, Newington Ultrasound Baby Scan, Oakley Ultrasound Baby Scan, Nuneham Ultrasound Baby Scan, Oddington Ultrasound Baby Scan, Old Chalford Ultrasound Baby Scan, Oxford Ultrasound Baby Scan, Piddington Ultrasound Baby Scan, Prescote Ultrasound Baby Scan, Pusey Ultrasound Baby Scan, Radley Ultrasound Baby Scan, Rotherfield Ultrasound Baby Scan, Rose Hill Ultrasound Baby Scan, Roke Ultrasound Baby Scan, Rycote Ultrasound Baby Scan, Seacourt Ultrasound Baby Scan, Shillingford Ultrasound Baby Scan, Shippon Ultrasound Baby Scan, Shiplake Ultrasound Baby Scan, Shirburn Ultrasound Baby Scan, Shorthampton Ultrasound Baby Scan, South Moreten Ultrasound Baby Scan, Spelsbury Ultrasound Baby Scan, Sunningwell Ultrasound Baby Scan, Swerford Ultrasound Baby Scan, Sydenham Ultrasound Baby Scan, Taynton Ultrasound Baby Scan, Thrupp Ultrasound Baby Scan, Trench Green Ultrasound Baby Scan, Towersey Ultrasound Baby Scan, Uffington Ultrasound Baby Scan, Upperton Ultrasound Baby Scan, Wallingford Ultrasound Baby Scan, Watchfield Ultrasound Baby Scan, Water Eaton Ultrasound Baby Scan, Waterstock Ultrasound Baby Scan, West Hanney Ultrasound Baby Scan, West Lockinge Ultrasound Baby Scan, Wheatley Ultrasound Baby Scan, Wigginton Ultrasound Baby Scan, Winterbrook Ultrasound Baby Scan, Witney Ultrasound Baby Scan, Woodstock Ultrasound Baby Scan, Aspley End Ultrasound Baby Scan, Beadlon Ultrasound Baby Scan, California Ultrasound Baby Scan, Castle Ultrasound Baby Scan, Milton Keynes Ultrasound Baby Scan, Milton Keynes Gender Scan, Abingdon Gender Scan, Adderbury Gender Scan, Adwell Gender Scan, Albury Gender Scan, Alvescot Gender Scan, Ambrosden Gender Scan, Appleford-on-Thames Gender Scan, Appleton-with-Eaton Gender Scan, Ardington Gender Scan, Ardley Gender Scan, Arncott Gender Scan, Ashbury Gender Scan, Aston Gender Scan, Bainton Gender Scan, Baldon Gender Scan, Balsote Gender Scan, Bampton Gender Scan, Barford St John Gender Scan, Barford Gender Scan, Baulking Gender Scan, Bayworth Gender Scan, Begbroke Gender Scan, Benson Gender Scan, Berinsfield Gender Scan, Berrick Salome Gender Scan, Bicester Gender Scan, Binfield Heath Gender Scan, Binsey Gender Scan, Blackthorn Gender Scan, Blackbird Leys Gender Scan, Bletchingdon Gender Scan, Blewbury Gender Scan, Bloxham Gender Scan, Boars Hill Gender Scan, Bodicote Gender Scan, Baldwin Gender Scan, Broadwell Gender Scan, Brookhampton Gender Scan, Bruern Gender Scan, Buckland Gender Scan, Bucknell Gender Scan, Burcot Gender Scan, Caldecott Gender Scan, Calthorpe Gender Scan, Carterton Gender Scan, Cane End Gender Scan, Caversfield Gender Scan, Chalgrove Gender Scan, Chadlington Gender Scan, Chalbury Gender Scan, Chastleton Gender Scan, Chilson Gender Scan, Chimney Gender Scan, Chinnor Gender Scan, Chislehampton Gender Scan, Christmas Common Gender Scan, Claydon Gender Scan, Hampden Gender Scan, Harbour Gender Scan, Coleshill Gender Scan, Combe Gender Scan, Compton Gender Scan, Coscote Gender Scan, Cote Gender Scan, Cothill Gender Scan, Crawley Gender Scan, Crays Pond Gender Scan, Crowsley Gender Scan, Cuttleslowe Gender Scan, Curbridge Gender Scan, Dean Gender Scan, Deddington Gender Scan, Denton Gender Scan, Drayton Gender Scan, Ducklington Gender Scan, Dunsden Green Gender Scan, Duxford Gender Scan, Ginge Gender Scan, Hagbourne Gender Scan, Hanney Gender Scan, Hendred Gender Scan, Eaton Gender Scan, Emmington Gender Scan, Epwell Gender Scan, Eynsam Gender Scan, Faringdon Gender Scan, Fawler Gender Scan, Farmoor Gender Scan, Fencott Gender Scan, Fewcott Gender Scan, Fernham Gender Scan, Fifield Gender Scan, Filkins Gender Scan, Finmere Gender Scan, Finstock Gender Scan, Fulscot Gender Scan, Fyfield Gender Scan, Gagingwell Gender Scan, Garsington Gender Scan, Godstow Gender Scan, Goring Heath Gender Scan, Headington Hill Gender Scan, Henton Gender Scan, Highmoor Gender Scan, Holwell Gender Scan, Hinksey Hill Gender Scan, Holton Gender Scan, Highmoor Gender Scan Horley Gender Scan, Idbury Gender Scan, Iffley Gender Scan, Ipsden Gender Scan, Jericho Gender Scan, Kelmscott Gender Scan, Kiddington Gender Scan, Langford Gender Scan, Launton Gender Scan, Little Baldon Gender Scan, Little Coxwell Gender Scan, Assendon Gender Scan, Heyford Gender Scan, Lyneham Gender Scan Maidensgrove Gender Scan, Marsh Baldon Gender Scan, Marcham Gender Scan, Merton Gender Scan, Milcombe Gender Scan, Mongewell Gender Scan, Murcott Gender Scan, New Marston Gender Scan, Nettlebed Gender Scan, Noke Gender Scan, North Leigh Gender Scan, North Oxford Gender Scan, Newington Gender Scan, Oakley Gender Scan, Nuneham Gender Scan, Oddington Gender Scan, Old Chalford Gender Scan, Oxford Gender Scan, Piddington Gender Scan, Prescote Gender Scan, Pusey Gender Scan, Radley Gender Scan, Rotherfield Gender Scan, Rose Hill Gender Scan, Roke Gender Scan, Rycote Gender Scan, Seacourt Gender Scan, Shillingford Gender Scan, Shippon Gender Scan, Shiplake Gender Scan, Shirburn Gender Scan, Shorthampton Gender Scan, South Moreten Gender Scan, Spelsbury Gender Scan, Sunningwell Gender Scan, Swerford Gender Scan, Sydenham Gender Scan, Taynton Gender Scan, Thrupp Gender Scan, Trench Green Gender Scan, Towersey Gender Scan, Uffington Gender Scan, Upperton Gender Scan, Wallingford Gender Scan, Watchfield Gender Scan, Water Eaton Gender Scan, Waterstock Gender Scan, West Hanney Gender Scan, West Lockinge Gender Scan, Wheatley Gender Scan, Wigginton Gender Scan, Winterbrook Gender Scan, Witney Gender Scan, Woodstock Gender Scan, Aspley End Gender Scan, Beadlon Gender Scan, California Gender Scan, Castle Gender Scan, Milton Keynes Gender Scan, Milton Keynes 16 Week Scan, Abingdon 16 Week Scan, Adderbury 16 Week Scan, Adwell 16 Week Scan, Albury 16 Week Scan, Alvescot 16 Week Scan, Ambrosden 16 Week Scan, Appleford-on-Thames 16 Week Scan, Appleton-with-Eaton 16 Week Scan, Ardington 16 Week Scan, Ardley 16 Week Scan, Arncott 16 Week Scan, Ashbury 16 Week Scan, Aston 16 Week Scan, Bainton 16 Week Scan, Baldon 16 Week Scan, Balsote 16 Week Scan, Bampton 16 Week Scan, Barford St John 16 Week Scan, Barford 16 Week Scan, Baulking 16 Week Scan, Bayworth 16 Week Scan, Begbroke 16 Week Scan, Benson 16 Week Scan, Berinsfield 16 Week Scan, Berrick Salome 16 Week Scan, Bicester 16 Week Scan, Binfield Heath 16 Week Scan, Binsey 16 Week Scan, Blackthorn 16 Week Scan, Blackbird Leys 16 Week Scan, Bletchingdon 16 Week Scan, Blewbury 16 Week Scan, Bloxham 16 Week Scan, Boars Hill 16 Week Scan, Bodicote 16 Week Scan, Baldwin 16 Week Scan, Broadwell 16 Week Scan, Brookhampton 16 Week Scan, Bruern 16 Week Scan, Buckland 16 Week Scan, Bucknell 16 Week Scan, Burcot 16 Week Scan, Caldecott 16 Week Scan, Calthorpe 16 Week Scan, Carterton 16 Week Scan, Cane End 16 Week Scan, Caversfield 16 Week Scan, Chalgrove 16 Week Scan, Chadlington 16 Week Scan, Chalbury 16 Week Scan, Chastleton 16 Week Scan, Chilson 16 Week Scan, Chimney 16 Week Scan, Chinnor 16 Week Scan, Chislehampton 16 Week Scan, Christmas Common 16 Week Scan, Claydon 16 Week Scan, Hampden 16 Week Scan, Harbour 16 Week Scan, Coleshill 16 Week Scan, Combe 16 Week Scan, Compton 16 Week Scan, Coscote 16 Week Scan, Cote 16 Week Scan, Cothill 16 Week Scan, Crawley 16 Week Scan, Crays Pond 16 Week Scan, Crowsley 16 Week Scan, Cuttleslowe 16 Week Scan, Curbridge 16 Week Scan, Dean 16 Week Scan, Deddington 16 Week Scan, Denton 16 Week Scan, Drayton 16 Week Scan, Ducklington 16 Week Scan, Dunsden Green 16 Week Scan, Duxford 16 Week Scan, Ginge 16 Week Scan, Hagbourne 16 Week Scan, Hanney 16 Week Scan, Hendred 16 Week Scan, Eaton 16 Week Scan, Emmington 16 Week Scan, Epwell 16 Week Scan, Eynsam 16 Week Scan, Faringdon 16 Week Scan, Fawler 16 Week Scan, Farmoor 16 Week Scan, Fencott 16 Week Scan, Fewcott 16 Week Scan, Fernham 16 Week Scan, Fifield 16 Week Scan, Filkins 16 Week Scan, Finmere 16 Week Scan, Finstock 16 Week Scan, Fulscot 16 Week Scan, Fyfield 16 Week Scan, Gagingwell 16 Week Scan, Garsington 16 Week Scan, Godstow 16 Week Scan, Goring Heath 16 Week Scan, Headington Hill 16 Week Scan, Henton 16 Week Scan, Highmoor 16 Week Scan, Holwell 16 Week Scan, Hinksey Hill 16 Week Scan, Holton 16 Week Scan, Highmoor 16 Week Scan Horley 16 Week Scan, Idbury 16 Week Scan, Iffley 16 Week Scan, Ipsden 16 Week Scan, Jericho 16 Week Scan, Kelmscott 16 Week Scan, Kiddington 16 Week Scan, Langford 16 Week Scan, Launton 16 Week Scan, Little Baldon 16 Week Scan, Little Coxwell 16 Week Scan, Assendon 16 Week Scan, Heyford 16 Week Scan, Lyneham 16 Week Scan Maidensgrove 16 Week Scan, Marsh Baldon 16 Week Scan, Marcham 16 Week Scan, Merton 16 Week Scan, Milcombe 16 Week Scan, Mongewell 16 Week Scan, Murcott 16 Week Scan, New Marston 16 Week Scan, Nettlebed 16 Week Scan, Noke 16 Week Scan, North Leigh 16 Week Scan, North Oxford 16 Week Scan, Newington 16 Week Scan, Oakley 16 Week Scan, Nuneham 16 Week Scan, Oddington 16 Week Scan, Old Chalford 16 Week Scan, Oxford 16 Week Scan, Piddington 16 Week Scan, Prescote 16 Week Scan, Pusey 16 Week Scan, Radley 16 Week Scan, Rotherfield 16 Week Scan, Rose Hill 16 Week Scan, Roke 16 Week Scan, Rycote 16 Week Scan, Seacourt 16 Week Scan, Shillingford 16 Week Scan, Shippon 16 Week Scan, Shiplake 16 Week Scan, Shirburn 16 Week Scan, Shorthampton 16 Week Scan, South Moreten 16 Week Scan, Spelsbury 16 Week Scan, Sunningwell 16 Week Scan, Swerford 16 Week Scan, Sydenham 16 Week Scan, Taynton 16 Week Scan, Thrupp 16 Week Scan, Trench Green 16 Week Scan, Towersey 16 Week Scan, Uffington 16 Week Scan, Upperton 16 Week Scan, Wallingford 16 Week Scan, Watchfield 16 Week Scan, Water Eaton 16 Week Scan, Waterstock 16 Week Scan, West Hanney 16 Week Scan, West Lockinge 16 Week Scan, Wheatley 16 Week Scan, Wigginton 16 Week Scan, Winterbrook 16 Week Scan, Witney 16 Week Scan, Woodstock 16 Week Scan, Aspley End 16 Week Scan, Beadlon 16 Week Scan, California 16 Week Scan, Castle 16 Week Scan, Milton Keynes 16 Week Scan, Milton Keynes Early Gender, Abingdon Early Gender, Adderbury Early Gender, Adwell Early Gender, Albury Early Gender, Alvescot Early Gender, Ambrosden Early Gender, Appleford-on-Thames Early Gender, Appleton-with-Eaton Early Gender, Ardington Early Gender, Ardley Early Gender, Arncott Early Gender, Ashbury Early Gender, Aston Early Gender, Bainton Early Gender, Baldon Early Gender, Balsote Early Gender, Bampton Early Gender, Barford St John Early Gender, Barford Early Gender, Baulking Early Gender, Bayworth Early Gender, Begbroke Early Gender, Benson Early Gender, Berinsfield Early Gender, Berrick Salome Early Gender, Bicester Early Gender, Binfield Heath Early Gender, Binsey Early Gender, Blackthorn Early Gender, Blackbird Leys Early Gender, Bletchingdon Early Gender, Blewbury Early Gender, Bloxham Early Gender, Boars Hill Early Gender, Bodicote Early Gender, Baldwin Early Gender, Broadwell Early Gender, Brookhampton Early Gender, Bruern Early Gender, Buckland Early Gender, Bucknell Early Gender, Burcot Early Gender, Caldecott Early Gender, Calthorpe Early Gender, Carterton Early Gender, Cane End Early Gender, Caversfield Early Gender, Chalgrove Early Gender, Chadlington Early Gender, Chalbury Early Gender, Chastleton Early Gender, Chilson Early Gender, Chimney Early Gender, Chinnor Early Gender, Chislehampton Early Gender, Christmas Common Early Gender, Claydon Early Gender, Hampden Early Gender, Harbour Early Gender, Coleshill Early Gender, Combe Early Gender, Compton Early Gender, Coscote Early Gender, Cote Early Gender, Cothill Early Gender, Crawley Early Gender, Crays Pond Early Gender, Crowsley Early Gender, Cuttleslowe Early Gender, Curbridge Early Gender, Dean Early Gender, Deddington Early Gender, Denton Early Gender, Drayton Early Gender, Ducklington Early Gender, Dunsden Green Early Gender, Duxford Early Gender, Ginge Early Gender, Hagbourne Early Gender, Hanney Early Gender, Hendred Early Gender, Eaton Early Gender, Emmington Early Gender, Epwell Early Gender, Eynsam Early Gender, Faringdon Early Gender, Fawler Early Gender, Farmoor Early Gender, Fencott Early Gender, Fewcott Early Gender, Fernham Early Gender, Fifield Early Gender, Filkins Early Gender, Finmere Early Gender, Finstock Early Gender, Fulscot Early Gender, Fyfield Early Gender, Gagingwell Early Gender, Garsington Early Gender, Godstow Early Gender, Goring Heath Early Gender, Headington Hill Early Gender, Henton Early Gender, Highmoor Early Gender, Holwell Early Gender, Hinksey Hill Early Gender, Holton Early Gender, Highmoor Early Gender Horley Early Gender, Idbury Early Gender, Iffley Early Gender, Ipsden Early Gender, Jericho Early Gender, Kelmscott Early Gender, Kiddington Early Gender, Langford Early Gender, Launton Early Gender, Little Baldon Early Gender, Little Coxwell Early Gender, Assendon Early Gender, Heyford Early Gender, Lyneham Early Gender Maidensgrove Early Gender, Marsh Baldon Early Gender, Marcham Early Gender, Merton Early Gender, Milcombe Early Gender, Mongewell Early Gender, Murcott Early Gender, New Marston Early Gender, Nettlebed Early Gender, Noke Early Gender, North Leigh Early Gender, North Oxford Early Gender, Newington Early Gender, Oakley Early Gender, Nuneham Early Gender, Oddington Early Gender, Old Chalford Early Gender, Oxford Early Gender, Piddington Early Gender, Prescote Early Gender, Pusey Early Gender, Radley Early Gender, Rotherfield Early Gender, Rose Hill Early Gender, Roke Early Gender, Rycote Early Gender, Seacourt Early Gender, Shillingford Early Gender, Shippon Early Gender, Shiplake Early Gender, Shirburn Early Gender, Shorthampton Early Gender, South Moreten Early Gender, Spelsbury Early Gender, Sunningwell Early Gender, Swerford Early Gender, Sydenham Early Gender, Taynton Early Gender, Thrupp Early Gender, Trench Green Early Gender, Towersey Early Gender, Uffington Early Gender, Upperton Early Gender, Wallingford Early Gender, Watchfield Early Gender, Water Eaton Early Gender, Waterstock Early Gender, West Hanney Early Gender, West Lockinge Early Gender, Wheatley Early Gender, Wigginton Early Gender, Winterbrook Early Gender, Witney Early Gender, Woodstock Early Gender, Aspley End Early Gender, Beadlon Early Gender, California Early Gender, Castle Early Gender, Milton Keynes Early Gender, Milton Keynes 4D Scan, Abingdon 4D Scan, Adderbury 4D Scan, Adwell 4D Scan, Albury 4D Scan, Alvescot 4D Scan, Ambrosden 4D Scan, Appleford-on-Thames 4D Scan, Appleton-with-Eaton 4D Scan, Ardington 4D Scan, Ardley 4D Scan, Arncott 4D Scan, Ashbury 4D Scan, Aston 4D Scan, Bainton 4D Scan, Baldon 4D Scan, Balsote 4D Scan, Bampton 4D Scan, Barford St John 4D Scan, Barford 4D Scan, Baulking 4D Scan, Bayworth 4D Scan, Begbroke 4D Scan, Benson 4D Scan, Berinsfield 4D Scan, Berrick Salome 4D Scan, Bicester 4D Scan, Binfield Heath 4D Scan, Binsey 4D Scan, Blackthorn 4D Scan, Blackbird Leys 4D Scan, Bletchingdon 4D Scan, Blewbury 4D Scan, Bloxham 4D Scan, Boars Hill 4D Scan, Bodicote 4D Scan, Baldwin 4D Scan, Broadwell 4D Scan, Brookhampton 4D Scan, Bruern 4D Scan, Buckland 4D Scan, Bucknell 4D Scan, Burcot 4D Scan, Caldecott 4D Scan, Calthorpe 4D Scan, Carterton 4D Scan, Cane End 4D Scan, Caversfield 4D Scan, Chalgrove 4D Scan, Chadlington 4D Scan, Chalbury 4D Scan, Chastleton 4D Scan, Chilson 4D Scan, Chimney 4D Scan, Chinnor 4D Scan, Chislehampton 4D Scan, Christmas Common 4D Scan, Claydon 4D Scan, Hampden 4D Scan, Harbour 4D Scan, Coleshill 4D Scan, Combe 4D Scan, Compton 4D Scan, Coscote 4D Scan, Cote 4D Scan, Cothill 4D Scan, Crawley 4D Scan, Crays Pond 4D Scan, Crowsley 4D Scan, Cuttleslowe 4D Scan, Curbridge 4D Scan, Dean 4D Scan, Deddington 4D Scan, Denton 4D Scan, Drayton 4D Scan, Ducklington 4D Scan, Dunsden Green 4D Scan, Duxford 4D Scan, Ginge 4D Scan, Hagbourne 4D Scan, Hanney 4D Scan, Hendred 4D Scan, Eaton 4D Scan, Emmington 4D Scan, Epwell 4D Scan, Eynsam 4D Scan, Faringdon 4D Scan, Fawler 4D Scan, Farmoor 4D Scan, Fencott 4D Scan, Fewcott 4D Scan, Fernham 4D Scan, Fifield 4D Scan, Filkins 4D Scan, Finmere 4D Scan, Finstock 4D Scan, Fulscot 4D Scan, Fyfield 4D Scan, Gagingwell 4D Scan, Garsington 4D Scan, Godstow 4D Scan, Goring Heath 4D Scan, Headington Hill 4D Scan, Henton 4D Scan, Highmoor 4D Scan, Holwell 4D Scan, Hinksey Hill 4D Scan, Holton 4D Scan, Highmoor 4D Scan Horley 4D Scan, Idbury 4D Scan, Iffley 4D Scan, Ipsden 4D Scan, Jericho 4D Scan, Kelmscott 4D Scan, Kiddington 4D Scan, Langford 4D Scan, Launton 4D Scan, Little Baldon 4D Scan, Little Coxwell 4D Scan, Assendon 4D Scan, Heyford 4D Scan, Lyneham 4D Scan Maidensgrove 4D Scan, Marsh Baldon 4D Scan, Marcham 4D Scan, Merton 4D Scan, Milcombe 4D Scan, Mongewell 4D Scan, Murcott 4D Scan, New Marston 4D Scan, Nettlebed 4D Scan, Noke 4D Scan, North Leigh 4D Scan, North Oxford 4D Scan, Newington 4D Scan, Oakley 4D Scan, Nuneham 4D Scan, Oddington 4D Scan, Old Chalford 4D Scan, Oxford 4D Scan, Piddington 4D Scan, Prescote 4D Scan, Pusey 4D Scan, Radley 4D Scan, Rotherfield 4D Scan, Rose Hill 4D Scan, Roke 4D Scan, Rycote 4D Scan, Seacourt 4D Scan, Shillingford 4D Scan, Shippon 4D Scan, Shiplake 4D Scan, Shirburn 4D Scan, Shorthampton 4D Scan, South Moreten 4D Scan, Spelsbury 4D Scan, Sunningwell 4D Scan, Swerford 4D Scan, Sydenham 4D Scan, Taynton 4D Scan, Thrupp 4D Scan, Trench Green 4D Scan, Towersey 4D Scan, Uffington 4D Scan, Upperton 4D Scan, Wallingford 4D Scan, Watchfield 4D Scan, Water Eaton 4D Scan, Waterstock 4D Scan, West Hanney 4D Scan, West Lockinge 4D Scan, Wheatley 4D Scan, Wigginton 4D Scan, Winterbrook 4D Scan, Witney 4D Scan, Woodstock 4D Scan, Aspley End 4D Scan, Beadlon 4D Scan, California 4D Scan, Castle 4D Scan, Milton Keynes 4D Scan, Milton Keynes 3D Scan, Abingdon 3D Scan, Adderbury 3D Scan, Adwell 3D Scan, Albury 3D Scan, Alvescot 3D Scan, Ambrosden 3D Scan, Appleford-on-Thames 3D Scan, Appleton-with-Eaton 3D Scan, Ardington 3D Scan, Ardley 3D Scan, Arncott 3D Scan, Ashbury 3D Scan, Aston 3D Scan, Bainton 3D Scan, Baldon 3D Scan, Balsote 3D Scan, Bampton 3D Scan, Barford St John 3D Scan, Barford 3D Scan, Baulking 3D Scan, Bayworth 3D Scan, Begbroke 3D Scan, Benson 3D Scan, Berinsfield 3D Scan, Berrick Salome 3D Scan, Bicester 3D Scan, Binfield Heath 3D Scan, Binsey 3D Scan, Blackthorn 3D Scan, Blackbird Leys 3D Scan, Bletchingdon 3D Scan, Blewbury 3D Scan, Bloxham 3D Scan, Boars Hill 3D Scan, Bodicote 3D Scan, Baldwin 3D Scan, Broadwell 3D Scan, Brookhampton 3D Scan, Bruern 3D Scan, Buckland 3D Scan, Bucknell 3D Scan, Burcot 3D Scan, Caldecott 3D Scan, Calthorpe 3D Scan, Carterton 3D Scan, Cane End 3D Scan, Caversfield 3D Scan, Chalgrove 3D Scan, Chadlington 3D Scan, Chalbury 3D Scan, Chastleton 3D Scan, Chilson 3D Scan, Chimney 3D Scan, Chinnor 3D Scan, Chislehampton 3D Scan, Christmas Common 3D Scan, Claydon 3D Scan, Hampden 3D Scan, Harbour 3D Scan, Coleshill 3D Scan, Combe 3D Scan, Compton 3D Scan, Coscote 3D Scan, Cote 3D Scan, Cothill 3D Scan, Crawley 3D Scan, Crays Pond 3D Scan, Crowsley 3D Scan, Cuttleslowe 3D Scan, Curbridge 3D Scan, Dean 3D Scan, Deddington 3D Scan, Denton 3D Scan, Drayton 3D Scan, Ducklington 3D Scan, Dunsden Green 3D Scan, Duxford 3D Scan, Ginge 3D Scan, Hagbourne 3D Scan, Hanney 3D Scan, Hendred 3D Scan, Eaton 3D Scan, Emmington 3D Scan, Epwell 3D Scan, Eynsam 3D Scan, Faringdon 3D Scan, Fawler 3D Scan, Farmoor 3D Scan, Fencott 3D Scan, Fewcott 3D Scan, Fernham 3D Scan, Fifield 3D Scan, Filkins 3D Scan, Finmere 3D Scan, Finstock 3D Scan, Fulscot 3D Scan, Fyfield 3D Scan, Gagingwell 3D Scan, Garsington 3D Scan, Godstow 3D Scan, Goring Heath 3D Scan, Headington Hill 3D Scan, Henton 3D Scan, Highmoor 3D Scan, Holwell 3D Scan, Hinksey Hill 3D Scan, Holton 3D Scan, Highmoor 3D Scan Horley 3D Scan, Idbury 3D Scan, Iffley 3D Scan, Ipsden 3D Scan, Jericho 3D Scan, Kelmscott 3D Scan, Kiddington 3D Scan, Langford 3D Scan, Launton 3D Scan, Little Baldon 3D Scan, Little Coxwell 3D Scan, Assendon 3D Scan, Heyford 3D Scan, Lyneham 3D Scan Maidensgrove 3D Scan, Marsh Baldon 3D Scan, Marcham 3D Scan, Merton 3D Scan, Milcombe 3D Scan, Mongewell 3D Scan, Murcott 3D Scan, New Marston 3D Scan, Nettlebed 3D Scan, Noke 3D Scan, North Leigh 3D Scan, North Oxford 3D Scan, Newington 3D Scan, Oakley 3D Scan, Nuneham 3D Scan, Oddington 3D Scan, Old Chalford 3D Scan, Oxford 3D Scan, Piddington 3D Scan, Prescote 3D Scan, Pusey 3D Scan, Radley 3D Scan, Rotherfield 3D Scan, Rose Hill 3D Scan, Roke 3D Scan, Rycote 3D Scan, Seacourt 3D Scan, Shillingford 3D Scan, Shippon 3D Scan, Shiplake 3D Scan, Shirburn 3D Scan, Shorthampton 3D Scan, South Moreten 3D Scan, Spelsbury 3D Scan, Sunningwell 3D Scan, Swerford 3D Scan, Sydenham 3D Scan, Taynton 3D Scan, Thrupp 3D Scan, Trench Green 3D Scan, Towersey 3D Scan, Uffington 3D Scan, Upperton 3D Scan, Wallingford 3D Scan, Watchfield 3D Scan, Water Eaton 3D Scan, Waterstock 3D Scan, West Hanney 3D Scan, West Lockinge 3D Scan, Wheatley 3D Scan, Wigginton 3D Scan, Winterbrook 3D Scan, Witney 3D Scan, Woodstock 3D Scan, Aspley End 3D Scan, Beadlon 3D Scan, California 3D Scan, Castle 3D Scan, Milton Keynes 3D Scan, Milton Keynes Growth Presentation Scan, Abingdon Growth Presentation Scan, Adderbury Growth Presentation Scan, Adwell Growth Presentation Scan, Albury Growth Presentation Scan, Alvescot Growth Presentation Scan, Ambrosden Growth Presentation Scan, Appleford-on-Thames Growth Presentation Scan, Appleton-with-Eaton Growth Presentation Scan, Ardington Growth Presentation Scan, Ardley Growth Presentation Scan, Arncott Growth Presentation Scan, Ashbury Growth Presentation Scan, Aston Growth Presentation Scan, Bainton Growth Presentation Scan, Baldon Growth Presentation Scan, Balsote Growth Presentation Scan, Bampton Growth Presentation Scan, Barford St John Growth Presentation Scan, Barford Growth Presentation Scan, Baulking Growth Presentation Scan, Bayworth Growth Presentation Scan, Begbroke Growth Presentation Scan, Benson Growth Presentation Scan, Berinsfield Growth Presentation Scan, Berrick Salome Growth Presentation Scan, Bicester Growth Presentation Scan, Binfield Heath Growth Presentation Scan, Binsey Growth Presentation Scan, Blackthorn Growth Presentation Scan, Blackbird Leys Growth Presentation Scan, Bletchingdon Growth Presentation Scan, Blewbury Growth Presentation Scan, Bloxham Growth Presentation Scan, Boars Hill Growth Presentation Scan, Bodicote Growth Presentation Scan, Baldwin Growth Presentation Scan, Broadwell Growth Presentation Scan, Brookhampton Growth Presentation Scan, Bruern Growth Presentation Scan, Buckland Growth Presentation Scan, Bucknell Growth Presentation Scan, Burcot Growth Presentation Scan, Caldecott Growth Presentation Scan, Calthorpe Growth Presentation Scan, Carterton Growth Presentation Scan, Cane End Growth Presentation Scan, Caversfield Growth Presentation Scan, Chalgrove Growth Presentation Scan, Chadlington Growth Presentation Scan, Chalbury Growth Presentation Scan, Chastleton Growth Presentation Scan, Chilson Growth Presentation Scan, Chimney Growth Presentation Scan, Chinnor Growth Presentation Scan, Chislehampton Growth Presentation Scan, Christmas Common Growth Presentation Scan, Claydon Growth Presentation Scan, Hampden Growth Presentation Scan, Harbour Growth Presentation Scan, Coleshill Growth Presentation Scan, Combe Growth Presentation Scan, Compton Growth Presentation Scan, Coscote Growth Presentation Scan, Cote Growth Presentation Scan, Cothill Growth Presentation Scan, Crawley Growth Presentation Scan, Crays Pond Growth Presentation Scan, Crowsley Growth Presentation Scan, Cuttleslowe Growth Presentation Scan, Curbridge Growth Presentation Scan, Dean Growth Presentation Scan, Deddington Growth Presentation Scan, Denton Growth Presentation Scan, Drayton Growth Presentation Scan, Ducklington Growth Presentation Scan, Dunsden Green Growth Presentation Scan, Duxford Growth Presentation Scan, Ginge Growth Presentation Scan, Hagbourne Growth Presentation Scan, Hanney Growth Presentation Scan, Hendred Growth Presentation Scan, Eaton Growth Presentation Scan, Emmington Growth Presentation Scan, Epwell Growth Presentation Scan, Eynsam Growth Presentation Scan, Faringdon Growth Presentation Scan, Fawler Growth Presentation Scan, Farmoor Growth Presentation Scan, Fencott Growth Presentation Scan, Fewcott Growth Presentation Scan, Fernham Growth Presentation Scan, Fifield Growth Presentation Scan, Filkins Growth Presentation Scan, Finmere Growth Presentation Scan, Finstock Growth Presentation Scan, Fulscot Growth Presentation Scan, Fyfield Growth Presentation Scan, Gagingwell Growth Presentation Scan, Garsington Growth Presentation Scan, Godstow Growth Presentation Scan, Goring Heath Growth Presentation Scan, Headington Hill Growth Presentation Scan, Henton Growth Presentation Scan, Highmoor Growth Presentation Scan, Holwell Growth Presentation Scan, Hinksey Hill Growth Presentation Scan, Holton Growth Presentation Scan, Highmoor Growth Presentation Scan Horley Growth Presentation Scan, Idbury Growth Presentation Scan, Iffley Growth Presentation Scan, Ipsden Growth Presentation Scan, Jericho Growth Presentation Scan, Kelmscott Growth Presentation Scan, Kiddington Growth Presentation Scan, Langford Growth Presentation Scan, Launton Growth Presentation Scan, Little Baldon Growth Presentation Scan, Little Coxwell Growth Presentation Scan, Assendon Growth Presentation Scan, Heyford Growth Presentation Scan, Lyneham Growth Presentation Scan Maidensgrove Growth Presentation Scan, Marsh Baldon Growth Presentation Scan, Marcham Growth Presentation Scan, Merton Growth Presentation Scan, Milcombe Growth Presentation Scan, Mongewell Growth Presentation Scan, Murcott Growth Presentation Scan, New Marston Growth Presentation Scan, Nettlebed Growth Presentation Scan, Noke Growth Presentation Scan, North Leigh Growth Presentation Scan, North Oxford Growth Presentation Scan, Newington Growth Presentation Scan, Oakley Growth Presentation Scan, Nuneham Growth Presentation Scan, Oddington Growth Presentation Scan, Old Chalford Growth Presentation Scan, Oxford Growth Presentation Scan, Piddington Growth Presentation Scan, Prescote Growth Presentation Scan, Pusey Growth Presentation Scan, Radley Growth Presentation Scan, Rotherfield Growth Presentation Scan, Rose Hill Growth Presentation Scan, Roke Growth Presentation Scan, Rycote Growth Presentation Scan, Seacourt Growth Presentation Scan, Shillingford Growth Presentation Scan, Shippon Growth Presentation Scan, Shiplake Growth Presentation Scan, Shirburn Growth Presentation Scan, Shorthampton Growth Presentation Scan, South Moreten Growth Presentation Scan, Spelsbury Growth Presentation Scan, Sunningwell Growth Presentation Scan, Swerford Growth Presentation Scan, Sydenham Growth Presentation Scan, Taynton Growth Presentation Scan, Thrupp Growth Presentation Scan, Trench Green Growth Presentation Scan, Towersey Growth Presentation Scan, Uffington Growth Presentation Scan, Upperton Growth Presentation Scan, Wallingford Growth Presentation Scan, Watchfield Growth Presentation Scan, Water Eaton Growth Presentation Scan, Waterstock Growth Presentation Scan, West Hanney Growth Presentation Scan, West Lockinge Growth Presentation Scan, Wheatley Growth Presentation Scan, Wigginton Growth Presentation Scan, Winterbrook Growth Presentation Scan, Witney Growth Presentation Scan, Woodstock Growth Presentation Scan, Aspley End Growth Presentation Scan, Beadlon Growth Presentation Scan, California Growth Presentation Scan, Castle Growth Presentation Scan, Milton Keynes Growth Presentation Scan, Milton Keynes Gender Reveal, Abingdon Gender Reveal, Adderbury Gender Reveal, Adwell Gender Reveal, Albury Gender Reveal, Alvescot Gender Reveal, Ambrosden Gender Reveal, Appleford-on-Thames Gender Reveal, Appleton-with-Eaton Gender Reveal, Ardington Gender Reveal, Ardley Gender Reveal, Arncott Gender Reveal, Ashbury Gender Reveal, Aston Gender Reveal, Bainton Gender Reveal, Baldon Gender Reveal, Balsote Gender Reveal, Bampton Gender Reveal, Barford St John Gender Reveal, Barford Gender Reveal, Baulking Gender Reveal, Bayworth Gender Reveal, Begbroke Gender Reveal, Benson Gender Reveal, Berinsfield Gender Reveal, Berrick Salome Gender Reveal, Bicester Gender Reveal, Binfield Heath Gender Reveal, Binsey Gender Reveal, Blackthorn Gender Reveal, Blackbird Leys Gender Reveal, Bletchingdon Gender Reveal, Blewbury Gender Reveal, Bloxham Gender Reveal, Boars Hill Gender Reveal, Bodicote Gender Reveal, Baldwin Gender Reveal, Broadwell Gender Reveal, Brookhampton Gender Reveal, Bruern Gender Reveal, Buckland Gender Reveal, Bucknell Gender Reveal, Burcot Gender Reveal, Caldecott Gender Reveal, Calthorpe Gender Reveal, Carterton Gender Reveal, Cane End Gender Reveal, Caversfield Gender Reveal, Chalgrove Gender Reveal, Chadlington Gender Reveal, Chalbury Gender Reveal, Chastleton Gender Reveal, Chilson Gender Reveal, Chimney Gender Reveal, Chinnor Gender Reveal, Chislehampton Gender Reveal, Christmas Common Gender Reveal, Claydon Gender Reveal, Hampden Gender Reveal, Harbour Gender Reveal, Coleshill Gender Reveal, Combe Gender Reveal, Compton Gender Reveal, Coscote Gender Reveal, Cote Gender Reveal, Cothill Gender Reveal, Crawley Gender Reveal, Crays Pond Gender Reveal, Crowsley Gender Reveal, Cuttleslowe Gender Reveal, Curbridge Gender Reveal, Dean Gender Reveal, Deddington Gender Reveal, Denton Gender Reveal, Drayton Gender Reveal, Ducklington Gender Reveal, Dunsden Green Gender Reveal, Duxford Gender Reveal, Ginge Gender Reveal, Hagbourne Gender Reveal, Hanney Gender Reveal, Hendred Gender Reveal, Eaton Gender Reveal, Emmington Gender Reveal, Epwell Gender Reveal, Eynsam Gender Reveal, Faringdon Gender Reveal, Fawler Gender Reveal, Farmoor Gender Reveal, Fencott Gender Reveal, Fewcott Gender Reveal, Fernham Gender Reveal, Fifield Gender Reveal, Filkins Gender Reveal, Finmere Gender Reveal, Finstock Gender Reveal, Fulscot Gender Reveal, Fyfield Gender Reveal, Gagingwell Gender Reveal, Garsington Gender Reveal, Godstow Gender Reveal, Goring Heath Gender Reveal, Headington Hill Gender Reveal, Henton Gender Reveal, Highmoor Gender Reveal, Holwell Gender Reveal, Hinksey Hill Gender Reveal, Holton Gender Reveal, Highmoor Gender Reveal Horley Gender Reveal, Idbury Gender Reveal, Iffley Gender Reveal, Ipsden Gender Reveal, Jericho Gender Reveal, Kelmscott Gender Reveal, Kiddington Gender Reveal, Langford Gender Reveal, Launton Gender Reveal, Little Baldon Gender Reveal, Little Coxwell Gender Reveal, Assendon Gender Reveal, Heyford Gender Reveal, Lyneham Gender Reveal Maidensgrove Gender Reveal, Marsh Baldon Gender Reveal, Marcham Gender Reveal, Merton Gender Reveal, Milcombe Gender Reveal, Mongewell Gender Reveal, Murcott Gender Reveal, New Marston Gender Reveal, Nettlebed Gender Reveal, Noke Gender Reveal, North Leigh Gender Reveal, North Oxford Gender Reveal, Newington Gender Reveal, Oakley Gender Reveal, Nuneham Gender Reveal, Oddington Gender Reveal, Old Chalford Gender Reveal, Oxford Gender Reveal, Piddington Gender Reveal, Prescote Gender Reveal, Pusey Gender Reveal, Radley Gender Reveal, Rotherfield Gender Reveal, Rose Hill Gender Reveal, Roke Gender Reveal, Rycote Gender Reveal, Seacourt Gender Reveal, Shillingford Gender Reveal, Shippon Gender Reveal, Shiplake Gender Reveal, Shirburn Gender Reveal, Shorthampton Gender Reveal, South Moreten Gender Reveal, Spelsbury Gender Reveal, Sunningwell Gender Reveal, Swerford Gender Reveal, Sydenham Gender Reveal, Taynton Gender Reveal, Thrupp Gender Reveal, Trench Green Gender Reveal, Towersey Gender Reveal, Uffington Gender Reveal, Upperton Gender Reveal, Wallingford Gender Reveal, Watchfield Gender Reveal, Water Eaton Gender Reveal, Waterstock Gender Reveal, West Hanney Gender Reveal, West Lockinge Gender Reveal, Wheatley Gender Reveal, Wigginton Gender Reveal, Winterbrook Gender Reveal, Witney Gender Reveal, Woodstock Gender Reveal, Aspley End Gender Reveal, Beadlon Gender Reveal, California Gender Reveal, Castle Gender Reveal, Milton Keynes Gender Reveal, Milton Keynes Baby Scan Offers, Abingdon Baby Scan Offers, Adderbury Baby Scan Offers, Adwell Baby Scan Offers, Albury Baby Scan Offers, Alvescot Baby Scan Offers, Ambrosden Baby Scan Offers, Appleford-on-Thames Baby Scan Offers, Appleton-with-Eaton Baby Scan Offers, Ardington Baby Scan Offers, Ardley Baby Scan Offers, Arncott Baby Scan Offers, Ashbury Baby Scan Offers, Aston Baby Scan Offers, Bainton Baby Scan Offers, Baldon Baby Scan Offers, Balsote Baby Scan Offers, Bampton Baby Scan Offers, Barford St John Baby Scan Offers, Barford Baby Scan Offers, Baulking Baby Scan Offers, Bayworth Baby Scan Offers, Begbroke Baby Scan Offers, Benson Baby Scan Offers, Berinsfield Baby Scan Offers, Berrick Salome Baby Scan Offers, Bicester Baby Scan Offers, Binfield Heath Baby Scan Offers, Binsey Baby Scan Offers, Blackthorn Baby Scan Offers, Blackbird Leys Baby Scan Offers, Bletchingdon Baby Scan Offers, Blewbury Baby Scan Offers, Bloxham Baby Scan Offers, Boars Hill Baby Scan Offers, Bodicote Baby Scan Offers, Baldwin Baby Scan Offers, Broadwell Baby Scan Offers, Brookhampton Baby Scan Offers, Bruern Baby Scan Offers, Buckland Baby Scan Offers, Bucknell Baby Scan Offers, Burcot Baby Scan Offers, Caldecott Baby Scan Offers, Calthorpe Baby Scan Offers, Carterton Baby Scan Offers, Cane End Baby Scan Offers, Caversfield Baby Scan Offers, Chalgrove Baby Scan Offers, Chadlington Baby Scan Offers, Chalbury Baby Scan Offers, Chastleton Baby Scan Offers, Chilson Baby Scan Offers, Chimney Baby Scan Offers, Chinnor Baby Scan Offers, Chislehampton Baby Scan Offers, Christmas Common Baby Scan Offers, Claydon Baby Scan Offers, Hampden Baby Scan Offers, Harbour Baby Scan Offers, Coleshill Baby Scan Offers, Combe Baby Scan Offers, Compton Baby Scan Offers, Coscote Baby Scan Offers, Cote Baby Scan Offers, Cothill Baby Scan Offers, Crawley Baby Scan Offers, Crays Pond Baby Scan Offers, Crowsley Baby Scan Offers, Cuttleslowe Baby Scan Offers, Curbridge Baby Scan Offers, Dean Baby Scan Offers, Deddington Baby Scan Offers, Denton Baby Scan Offers, Drayton Baby Scan Offers, Ducklington Baby Scan Offers, Dunsden Green Baby Scan Offers, Duxford Baby Scan Offers, Ginge Baby Scan Offers, Hagbourne Baby Scan Offers, Hanney Baby Scan Offers, Hendred Baby Scan Offers, Eaton Baby Scan Offers, Emmington Baby Scan Offers, Epwell Baby Scan Offers, Eynsam Baby Scan Offers, Faringdon Baby Scan Offers, Fawler Baby Scan Offers, Farmoor Baby Scan Offers, Fencott Baby Scan Offers, Fewcott Baby Scan Offers, Fernham Baby Scan Offers, Fifield Baby Scan Offers, Filkins Baby Scan Offers, Finmere Baby Scan Offers, Finstock Baby Scan Offers, Fulscot Baby Scan Offers, Fyfield Baby Scan Offers, Gagingwell Baby Scan Offers, Garsington Baby Scan Offers, Godstow Baby Scan Offers, Goring Heath Baby Scan Offers, Headington Hill Baby Scan Offers, Henton Baby Scan Offers, Highmoor Baby Scan Offers, Holwell Baby Scan Offers, Hinksey Hill Baby Scan Offers, Holton Baby Scan Offers, Highmoor Baby Scan Offers Horley Baby Scan Offers, Idbury Baby Scan Offers, Iffley Baby Scan Offers, Ipsden Baby Scan Offers, Jericho Baby Scan Offers, Kelmscott Baby Scan Offers, Kiddington Baby Scan Offers, Langford Baby Scan Offers, Launton Baby Scan Offers, Little Baldon Baby Scan Offers, Little Coxwell Baby Scan Offers, Assendon Baby Scan Offers, Heyford Baby Scan Offers, Lyneham Baby Scan Offers Maidensgrove Baby Scan Offers, Marsh Baldon Baby Scan Offers, Marcham Baby Scan Offers, Merton Baby Scan Offers, Milcombe Baby Scan Offers, Mongewell Baby Scan Offers, Murcott Baby Scan Offers, New Marston Baby Scan Offers, Nettlebed Baby Scan Offers, Noke Baby Scan Offers, North Leigh Baby Scan Offers, North Oxford Baby Scan Offers, Newington Baby Scan Offers, Oakley Baby Scan Offers, Nuneham Baby Scan Offers, Oddington Baby Scan Offers, Old Chalford Baby Scan Offers, Oxford Baby Scan Offers, Piddington Baby Scan Offers, Prescote Baby Scan Offers, Pusey Baby Scan Offers, Radley Baby Scan Offers, Rotherfield Baby Scan Offers, Rose Hill Baby Scan Offers, Roke Baby Scan Offers, Rycote Baby Scan Offers, Seacourt Baby Scan Offers, Shillingford Baby Scan Offers, Shippon Baby Scan Offers, Shiplake Baby Scan Offers, Shirburn Baby Scan Offers, Shorthampton Baby Scan Offers, South Moreten Baby Scan Offers, Spelsbury Baby Scan Offers, Sunningwell Baby Scan Offers, Swerford Baby Scan Offers, Sydenham Baby Scan Offers, Taynton Baby Scan Offers, Thrupp Baby Scan Offers, Trench Green Baby Scan Offers, Towersey Baby Scan Offers, Uffington Baby Scan Offers, Upperton Baby Scan Offers, Wallingford Baby Scan Offers, Watchfield Baby Scan Offers, Water Eaton Baby Scan Offers, Waterstock Baby Scan Offers, West Hanney Baby Scan Offers, West Lockinge Baby Scan Offers, Wheatley Baby Scan Offers, Wigginton Baby Scan Offers, Winterbrook Baby Scan Offers, Witney Baby Scan Offers, Woodstock Baby Scan Offers, Aspley End Baby Scan Offers, Beadlon Baby Scan Offers, California Baby Scan Offers, Castle Baby Scan Offers, Milton Keynes Baby Scan Offers, Early baby scan Milton Keynes, early scan Milton Keynes, early pregnancy scan Milton Keynes, dating scan Milton Keynes, reassurance scan Milton Keynes, viability scan Milton Keynes, Specialist scan Milton Keynes, Private baby scan Milton Keynes, Early pregnancy ultrasound Milton Keynes, Private pregnancy scan Milton Keynes, internal scan Milton Keynes, previous ectopic scan Milton Keynes, previous miscarriage scan Milton Keynes, pregnancy symptoms scan Milton Keynes, 6 week scan Milton Keynes, 7 week scan Milton Keynes, 8 week scan Milton Keynes, 9 week scan Milton Keynes, 10 week scan Milton Keynes, 11 week scan Milton Keynes, 12 week scan Milton Keynes, Early baby scan Daventry, early scan Daventry, early pregnancy scan Daventry, dating scan Daventry, reassurance scan Daventry, viability scan Daventry, Specialist scan Daventry, Private baby scan Daventry, Early pregnancy ultrasound Daventry, Private pregnancy scan Daventry, internal scan Daventry, previous ectopic scan Daventry, previous miscarriage scan Daventry, pregnancy symptoms scan Daventry, 6 week scan Daventry, 7 week scan Daventry, 8 week scan Daventry, 9 week scan Daventry, 10 week scan Daventry, 11 week scan Daventry, 12 week scan Daventry, Early baby scan Boddington, early scan Boddington, early pregnancy scan Boddington, dating scan Boddington, reassurance scan Boddington, viability scan Boddington, Specialist scan Boddington, Private baby scan Boddington, Early pregnancy ultrasound Boddington, Private pregnancy scan Boddington, internal scan Boddington, previous ectopic scan Boddington, previous miscarriage scan Boddington, pregnancy symptoms scan Boddington, 6 week scan Boddington, 7 week scan Boddington, 8 week scan Boddington, 9 week scan Boddington, 10 week scan Boddington, 11 week scan Boddington, 12 week scan Boddington, Early baby scan Wootton, early scan Wootton, early pregnancy scan Wootton, dating scan Wootton, reassurance scan Wootton, viability scan Wootton, Specialist scan Wootton, Private baby scan Wootton, Early pregnancy ultrasound Wootton, Private pregnancy scan Wootton, internal scan Wootton, previous ectopic scan Wootton, previous miscarriage scan Wootton, pregnancy symptoms scan Wootton, 6 week scan Wootton, 7 week scan Wootton, 8 week scan Wootton, 9 week scan Wootton, 10 week scan Wootton, 11 week scan Wootton, 12 week scan Wootton, Early baby scan Towcester, early scan Towcester, early pregnancy scan Towcester, dating scan Towcester, reassurance scan Towcester, viability scan Towcester, Specialist scan Towcester, Private baby scan Towcester, Early pregnancy ultrasound Towcester, Private pregnancy scan Towcester, internal scan Towcester, previous ectopic scan Towcester, previous miscarriage scan Towcester, pregnancy symptoms scan Towcester, 6 week scan Towcester, 7 week scan Towcester, 8 week scan Towcester, 9 week scan Towcester, 10 week scan Towcester, 11 week scan Towcester, 12 week scan Towcester, Early baby scan Silverstone, early scan Silverstone, early pregnancy scan Silverstone, dating scan Silverstone, reassurance scan Silverstone, viability scan Silverstone, Specialist scan Silverstone, Private baby scan Silverstone, Early pregnancy ultrasound Silverstone, Private pregnancy scan Silverstone, internal scan Silverstone, previous ectopic scan Silverstone, previous miscarriage scan Silverstone, pregnancy symptoms scan Silverstone, 6 week scan Silverstone, 7 week scan Silverstone, 8 week scan Silverstone, 9 week scan Silverstone, 10 week scan Silverstone, 11 week scan Silverstone, 12 week scan Silverstone, Early baby scan Brackley, early scan Brackley, early pregnancy scan Brackley, dating scan Brackley, reassurance scan Brackley, viability scan Brackley, Specialist scan Brackley, Private baby scan Brackley, Early pregnancy ultrasound Brackley, Private pregnancy scan Brackley, internal scan Brackley, previous ectopic scan Brackley, previous miscarriage scan Brackley, pregnancy symptoms scan Brackley, 6 week scan Brackley, 7 week scan Brackley, 8 week scan Brackley, 9 week scan Brackley, 10 week scan Brackley, 11 week scan Brackley, 12 week scan Brackley, Early baby scan Cottisford, early scan Cottisford, early pregnancy scan Cottisford, dating scan Cottisford, reassurance scan Cottisford, viability scan Cottisford, Specialist scan Cottisford, Private baby scan Cottisford, Early pregnancy ultrasound Cottisford, Private pregnancy scan Cottisford, internal scan Cottisford, previous ectopic scan Cottisford, previous miscarriage scan Cottisford, pregnancy symptoms scan Cottisford, 6 week scan Cottisford, 7 week scan Cottisford, 8 week scan Cottisford, 9 week scan Cottisford, 10 week scan Cottisford, 11 week scan Cottisford, 12 week scan Cottisford, Early baby scan Westbury, early scan Westbury, early pregnancy scan Westbury, dating scan Westbury, reassurance scan Westbury, viability scan Westbury, Specialist scan Westbury, Private baby scan Westbury, Early pregnancy ultrasound Westbury, Private pregnancy scan Westbury, internal scan Westbury, previous ectopic scan Westbury, previous miscarriage scan Westbury, pregnancy symptoms scan Westbury, 6 week scan Westbury, 7 week scan Westbury, 8 week scan Westbury, 9 week scan Westbury, 10 week scan Westbury, 11 week scan Westbury, 12 week scan Westbury, Early baby scan Rushton, early scan Rushton, early pregnancy scan Rushton, dating scan Rushton, reassurance scan Rushton, viability scan Rushton, Specialist scan Rushton, Private baby scan Rushton, Early pregnancy ultrasound Rushton, Private pregnancy scan Rushton, internal scan Rushton, previous ectopic scan Rushton, previous miscarriage scan Rushton, pregnancy symptoms scan Rushton, 6 week scan Rushton, 7 week scan Rushton, 8 week scan Rushton, 9 week scan Rushton, 10 week scan Rushton, 11 week scan Rushton, 12 week scan Rushton, Early baby scan Sudborough, early scan Sudborough, early pregnancy scan Sudborough, dating scan Sudborough, reassurance scan Sudborough, viability scan Sudborough, Specialist scan Sudborough, Private baby scan Sudborough, Early pregnancy ultrasound Sudborough, Private pregnancy scan Sudborough, internal scan Sudborough, previous ectopic scan Sudborough, previous miscarriage scan Sudborough, pregnancy symptoms scan Sudborough, 6 week scan Sudborough, 7 week scan Sudborough, 8 week scan Sudborough, 9 week scan Sudborough, 10 week scan Sudborough, 11 week scan Sudborough, 12 week scan Sudborough, Early baby scan Orton, early scan Orton, early pregnancy scan Orton, dating scan Orton, reassurance scan Orton, viability scan Orton, Specialist scan Orton, Private baby scan Orton, Early pregnancy ultrasound Orton, Private pregnancy scan Orton, internal scan Orton, previous ectopic scan Orton, previous miscarriage scan Orton, pregnancy symptoms scan Orton, 6 week scan Orton, 7 week scan Orton, 8 week scan Orton, 9 week scan Orton, 10 week scan Orton, 11 week scan Orton, 12 week scan Orton, Early baby scan Wellingborough, early scan Wellingborough, early pregnancy scan Wellingborough, dating scan Wellingborough, reassurance scan Wellingborough, viability scan Wellingborough, Specialist scan Wellingborough, Private baby scan Wellingborough, Early pregnancy ultrasound Wellingborough, Private pregnancy scan Wellingborough, internal scan Wellingborough, previous ectopic scan Wellingborough, previous miscarriage scan Wellingborough, pregnancy symptoms scan Wellingborough, 6 week scan Wellingborough, 7 week scan Wellingborough, 8 week scan Wellingborough, 9 week scan Wellingborough, 10 week scan Wellingborough, 11 week scan Wellingborough, 12 week scan Wellingborough, Early baby scan Doddington, early scan Doddington, early pregnancy scan Doddington, dating scan Doddington, reassurance scan Doddington, viability scan Doddington, Specialist scan Doddington, Private baby scan Doddington, Early pregnancy ultrasound Doddington, Private pregnancy scan Doddington, internal scan Doddington, previous ectopic scan Doddington, previous miscarriage scan Doddington, pregnancy symptoms scan Doddington, 6 week scan Doddington, 7 week scan Doddington, 8 week scan Doddington, 9 week scan Doddington, 10 week scan Doddington, 11 week scan Doddington, 12 week scan Doddington, Early baby scan Wollaston, early scan Wollaston, early pregnancy scan Wollaston, dating scan Wollaston, reassurance scan Wollaston, viability scan Wollaston, Specialist scan Wollaston, Private baby scan Wollaston, Early pregnancy ultrasound Wollaston, Private pregnancy scan Wollaston, internal scan Wollaston, previous ectopic scan Wollaston, previous miscarriage scan Wollaston, pregnancy symptoms scan Wollaston, 6 week scan Wollaston, 7 week scan Wollaston, 8 week scan Wollaston, 9 week scan Wollaston, 10 week scan Wollaston, 11 week scan Wollaston, 12 week scan Wollaston, Early baby scan Biggleswade, early scan Biggleswade, early pregnancy scan Biggleswade, dating scan Biggleswade, reassurance scan Biggleswade, viability scan Biggleswade, Specialist scan Biggleswade, Private baby scan Biggleswade, Early pregnancy ultrasound Biggleswade, Private pregnancy scan Biggleswade, internal scan Biggleswade, previous ectopic scan Biggleswade, previous miscarriage scan Biggleswade, pregnancy symptoms scan Biggleswade, 6 week scan Biggleswade, 7 week scan Biggleswade, 8 week scan Biggleswade, 9 week scan Biggleswade, 10 week scan Biggleswade, 11 week scan Biggleswade, 12 week scan Biggleswade, Early baby scan Everton, early scan Everton, early pregnancy scan Everton, dating scan Everton, reassurance scan Everton, viability scan Everton, Specialist scan Everton, Private baby scan Everton, Early pregnancy ultrasound Everton, Private pregnancy scan Everton, internal scan Everton, previous ectopic scan Everton, previous miscarriage scan Everton, pregnancy symptoms scan Everton, 6 week scan Everton, 7 week scan Everton, 8 week scan Everton, 9 week scan Everton, 10 week scan Everton, 11 week scan Everton, 12 week scan Everton, Early baby scan Banbury, early scan Banbury, early pregnancy scan Banbury, dating scan Banbury, reassurance scan Banbury, viability scan Banbury, Specialist scan Banbury, Private baby scan Banbury, Early pregnancy ultrasound Banbury, Private pregnancy scan Banbury, internal scan Banbury, previous ectopic scan Banbury, previous miscarriage scan Banbury, pregnancy symptoms scan Banbury, 6 week scan Banbury, 7 week scan Banbury, 8 week scan Banbury, 9 week scan Banbury, 10 week scan Banbury, 11 week scan Banbury, 12 week scan Banbury, Early baby scan Didcot, early scan Didcot, early pregnancy scan Didcot, dating scan Didcot, reassurance scan Didcot, viability scan Didcot, Specialist scan Didcot, Private baby scan Didcot, Early pregnancy ultrasound Didcot, Private pregnancy scan Didcot, internal scan Didcot, previous ectopic scan Didcot, previous miscarriage scan Didcot, pregnancy symptoms scan Didcot, 6 week scan Didcot, 7 week scan Didcot, 8 week scan Didcot, 9 week scan Didcot, 10 week scan Didcot, 11 week scan Didcot, 12 week scan Didcot, Early baby scan Langley, early scan Langley, early pregnancy scan Langley, dating scan Langley, reassurance scan Langley, viability scan Langley, Specialist scan Langley, Private baby scan Langley, Early pregnancy ultrasound Langley, Private pregnancy scan Langley, internal scan Langley, previous ectopic scan Langley, previous miscarriage scan Langley, pregnancy symptoms scan Langley, 6 week scan Langley, 7 week scan Langley, 8 week scan Langley, 9 week scan Langley, 10 week scan Langley, 11 week scan Langley, 12 week scan Langley.